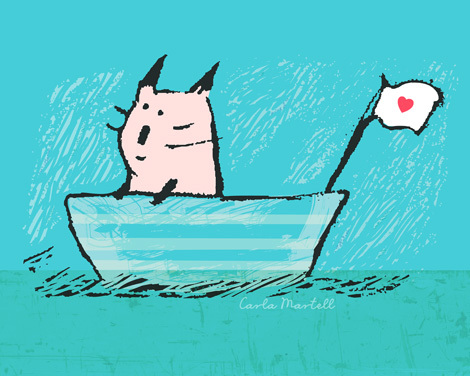 Cat in a love boat...for this week's Illustration Friday theme of 'voyage.' No voyaging in our house; I've been at home all week in my pyjamas coughing and spluttering like an old sailor! 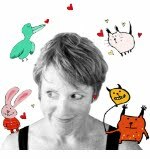 You know I like your drawings! really. I have something to tell you, about the word voyage!